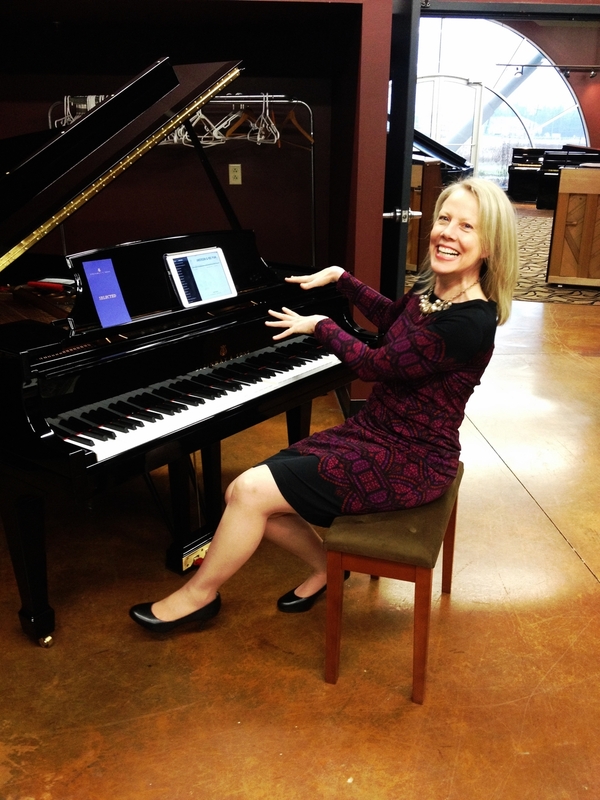 I'm here at Steinway Piano Gallery Cleveland checking out the new Steinway Spirio on a Model M.
Such a great experience at Steinway Piano Gallery Cleveland recently. 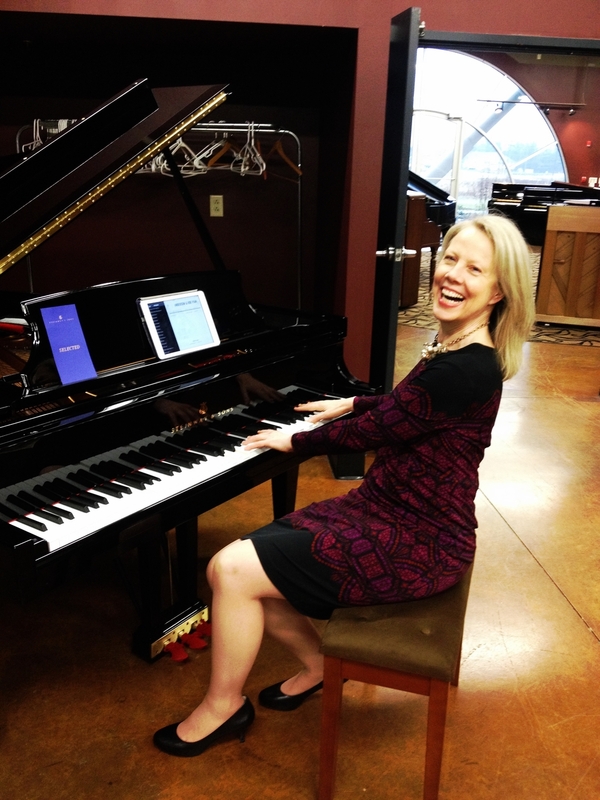 I got to try out the new Steinway Spirio on a Model M. Spirio is a computer software program replicating recorded piano music. The Spirio sounds fantastic and the interaction with the iPad is seamless, which is necessary to control this new piano technology. You can see on the photo, I have the iPad on the music stand where I get to choose who I would like to perform for me (out of a long list of world-class artists). The piano is absolutely gorgeous even without the computer generated key movement. Obviously, player pianos have been around for quite a long time. They never made for good acoustic pianos until now. 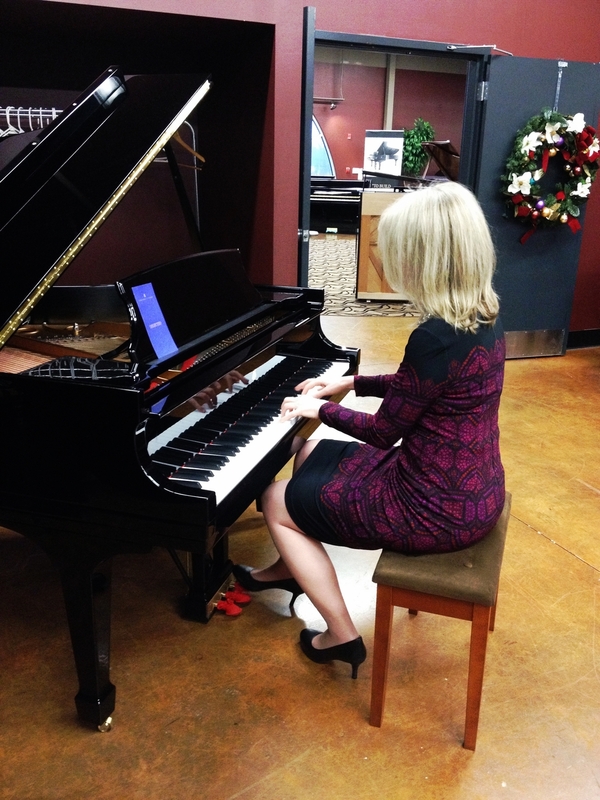 I played this Model M Steinway while the Spirio was switched off and LOVED it. When I switched the Spirio on, VOILÀ, the piano plays by itself. It is incredible how authentic, natural, and delicate the Spirio system sounds. It is even possible to play on the piano while the Spirio is playing, which leads me to dream up all sorts of four hand scenarios. I certainly thought I would not like mixing my beloved acoustic piano sound with anything having to do with computers, but I stand corrected. This cutting-edge technology is baffling. Take a look here for more information about the Steinway Spirio.